Feld Entertainment, Inc., the worldwide leader in producing live touring family entertainment, announces it will bring the Academy Award® winning and number one animated feature film of all time, Disney’s Frozen, to a hometown near you. Disney On Ice presents Frozen visits Rockford Thursday, February 21 through Sunday, February 24, 2018, for seven performances at the BMO Harris Bank Center. Tickets on sale Wednesday, October 30, 2018. Tickets for Disney On Ice presents Frozen start at $15. Additional fees may apply. All seats are reserved, and tickets are available at www.disneyonice.com. For group rates and information, call 800.745.3000. Follow us on social media to stay in touch! 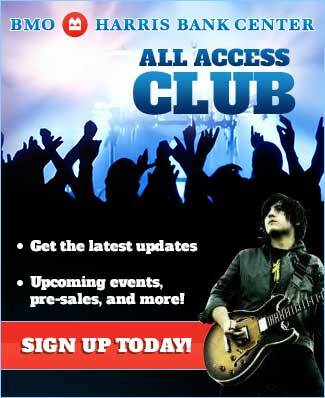 Sign up for our Newsletter for exclusive presale access!